I can't. My kid has practice. Or a game. Or something. 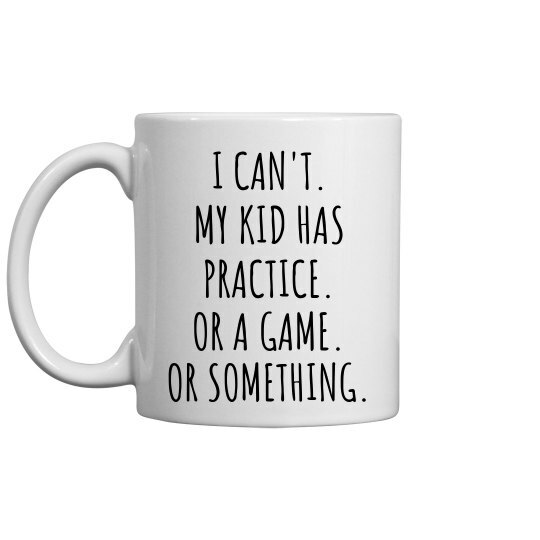 This one's for all of you sports moms out there. We know life gets crazy sometimes, so we designed this funny mug for you to fuel up with when it all gets to be too much. Custom Text: I CAN'T. | MY KID HAS | PRACTICE. | OR A GAME. | OR SOMETHING.